Our HEX 2.0 model was designed for individuals that are interested in pursing more advanced aerial precision agriculture efforts. 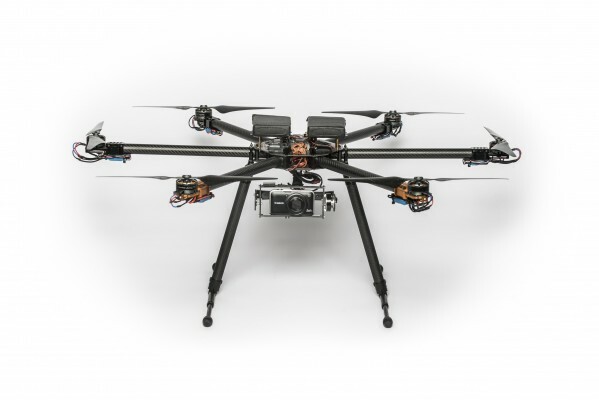 The all carbon fiber HEX 2.0 model features six propellers, capable of lifting payloads of approximately two pounds, including certain models of true color, Near Infrared (NIR), and thermal cameras. The HEX 2.0 unit comes pre-equipped with an autopiloting system that is controlled and programmed by any Windows based desktop, laptop, or select mobile tablet. The system affords the user the ability to have automatic take off and landing, complete flight path planning including speed, height, GPS waypoints, and more. Flight plans can be saved for replication upon demand. This software allows a user to create a polygram over a given area and with one-click it will auto-populate flight grid lines. These lines can be set to run North/South, East/West, or for any specific angle desired. Unique in the multirotor space, the HEX 2.0 is extremely portable. The booms collapse as well as the landing gear retract, creating a slim profile for packing efficiency.